If you’re looking for attraction to see during your stay in Dublin, why not take a look at some of Your Home from Home’s suggestions here. From The National Museum to the The Guinness Storehouse, there’s something for everyone to enjoy! 1. National Museum – The National Museum of Ireland showcases one of the finest collections of Irish heritage, culture and natural history in the world. The museum is divided into three main sections; archaeology, decorative arts and history and natural history. The Decorative Arts and History Museum is housed in the magnificent Collins Barracks which is easily accessible by the LUAS. The Archaeology Museum, home to over two million Irish artefacts, is located on Kildare Street, while The Natural History Museum, situated on Merrion Square, offers fascinating galleries of animals from Ireland and overseas. Both the archaeology and the natural history museum are within walking distance of Dublin city centre. 2. 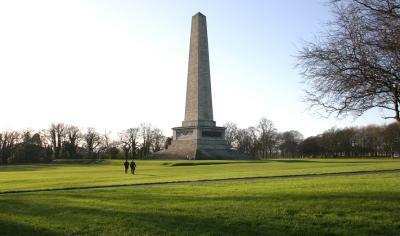 Phoenix Park – Phoenix Park is a truly amazing sight. Situated in the city centre of Dublin, this park offers serenity and a picturesque setting that is hard to find in most European capital cities. The Park covers a total of 707 hectares (1752 acres). Visitors can discover the sights of the park by following the scenic walk-ways. Bike hire is also available. The park is filled with historical monuments and buildings, the most significant being Áras an Uachtaráin which is the official residence of the President of Ireland. Dublin Zoo can also be found in Phoenix Park, along with the popular Victorian Walled Kitchen Garden. 3. Kilmainham Gaol – Kilmainham Gaol is a former Irish prison that has been transformed into a museum. Kilmainham Gaol played a significant part in modern Irish history with many of Ireland’s rebellion leaders at some point being imprisoned and others executed in the jail. It provides visitors with a fascinating insight into life inside the prison and recounts the story of Ireland’s fight for independence from British rule between the year 1796 and 1932, when it was eventually closed. Kilmainham Gaol is accessible by bus from Aston Quay and also by catching the LUAS to Suir Road. 4. Guinness Storehouse – Think Ireland – think Guinness! No visit to Dublin would be complete without a tour of the Guinness Storehouse that offers a spectacular 360° panoramic view of the city and beyond from its Gravity Bar. The seven stories bring to life the heritage of Guinness with each floor letting you explore the history and evolution of the world’s most popular stout since Arthur Guinness first started crafting the creamy stout back in the 1700s. The Guinness Storehouse is situated inside the original brewery at St. James’s Gate and can be reached by the LUAS. 5. Trinity College – Trinity College is positioned proudly in the heart of Dublin city. It is one of the oldest and most prestigious colleges in Ireland and boasts beautiful gardens and courtyards. Ireland’s most famous book and one of our greatest tourist attractions, The Book of Kells, can be found inside the Old Library of Trinity College. The Book of Kells is an illustrated manuscript and was created by Celtic monks circa 800. The book is classified as Insular Art, however it is distinctive in its extravagant and complex decoration. If you would like to book a luxury apartment during your stay in Dublin, contact Your Home From Home to enquire about availability.